Seiji Ozawa is a globally renowned conductor who’s been active in the music scene for more than half a century. He has conducted some of the world’s most prestigious orchestras, such as the New York Philharmonic and Vienna Philharmonic orchestras. But classic music is dominantly rooted in European culture and its societal value system, and Ozawa is a Japanese. How did those two marry? 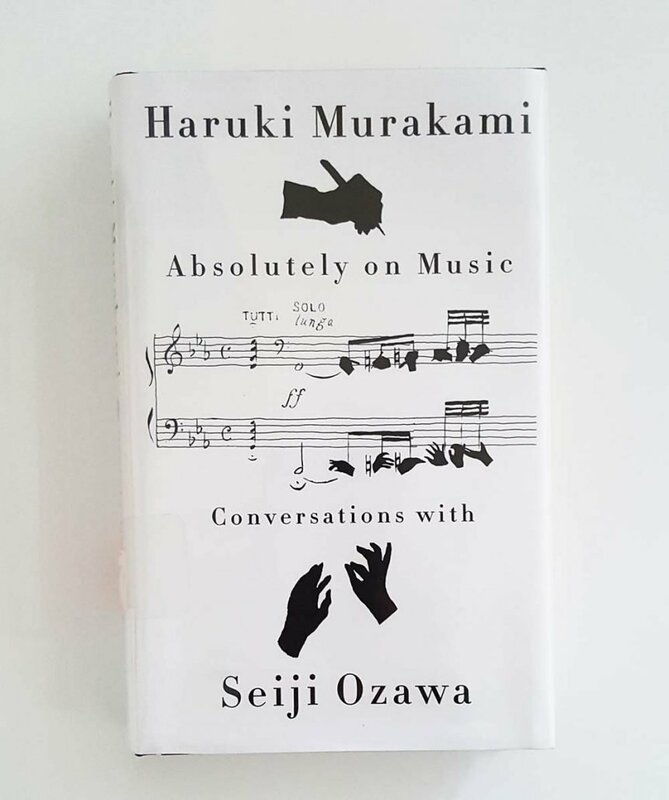 In a new book “Absolutely on Music: Conversations with Seiji Ozawa,” Ozawa tells about his fascinating music journey to Haruki Murakami, a globally recognized author who wrote “A Wild Sheep Chase” and “The Wind-up Bird Chronicle.” Murakami, an avid (or almost obsessive) music fan, played an excellent role interviewing Ozawa. A fascinating read. Many anecdotes and stories that Ozawa tells are surprisingly universal, and it’s probably because his, and his fellow musicians’ talents easily beat cultural barriers to reach the quintessential of music. But still, there are some Japanese influences that pop up here and there in the way Osawa approaches music. One of them is “ma,” a notion that describes a spatial or temporal void inserted in-between contiguous, or continuous sequences. “Ma” is written “間” in Chinese character, and it means “in-between.” “Ma” has been appreciated in Japanese traditional aesthetics, especially in Zen-inspired arts that cemented its foundation during the Middle Ages. 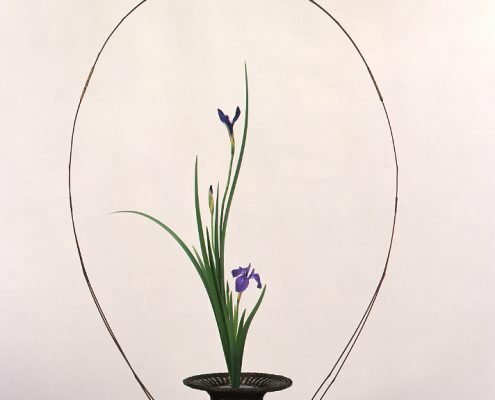 Look at some examples of “ma” in the arts: on the left is Ikebana, or Japanese traditional flower arrangement, which basically limits the number (or species) of flowers. 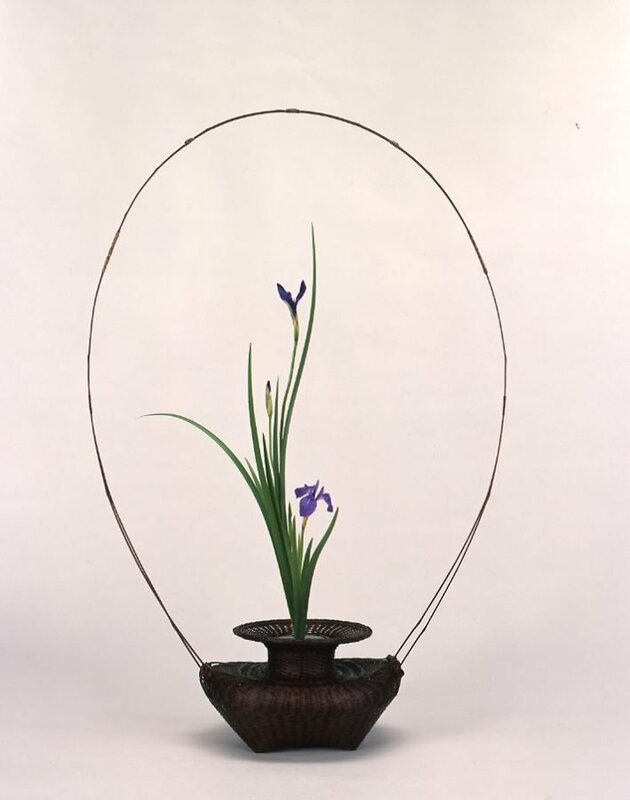 Ikebana artists put in a lot of effort to strike the right “ma” between each flower, which lets forceful tension emerge from where flowers are absent. On the right is kare-sansui, or Japanese zen rock garden. Kare-sansui eliminates the main elements of a garden – water and greens. It instead erect a limited number of rocks, which represent natural elements and beauty. Enormous “ma,” or absence, created throughout the garden, unleashes boundless imagination in the visitors’ minds. And as it turns out, temporal “ma” plays a critical role in music. Even though many non-Japanese cultures did not realize that it was there, “ma” has been playing an important roles even in Western-style or other types of music. Ozawa unearthed some examples for readers. Take Glenn Gould for example. He resides in a very unique universe in the world of music. He was such a genius that he saw or felt music in a totally different way, or from a totally different level. As an “enfant terrible,” he often stirred controversy by refusing to play well-established classic pieces in a traditional way, or the way the composer instructed. In the book, Ozawa remembers the famous “April 6, 1962 concert” of the New York Philharmonic orchestra. Ozawa was an assistant conductor for Leonard Bernstein, who was the music director for the orchestra at that time. Prior to the performance, Bernstein decided to explain (or warn) the audience about his disagreement with Gould, the soloist, on how to present Brahms’ Fist Piano Concerto. Especially on tempo, Gould insisted on playing it very slowly. No orchestra has ever played that way before, because Brahms never instructed so. Ozawa praises Gould (they knew each other, by the way, through Bernstein) for his brave approach. According to Ozawa, Gould was very bold to determine tempo – which was often very slow – creating effectively sustained “ma” that no one else could mimic. Then Murakami brings up Beethoven’s 3rd piano concerto played by Gould. MURAKAMI:…Even when Gould’s playing was weirdly slow, he makes you listen to the end. You don’t get tired of him halfway through. His inner rhythms must be terrifically strong. OZAWA: It’s those empty moments of his – the way he puts “ma.” He’s amazing… It’s sheer guts, something he was born with, and absolutely not an act. They are absolutely right. When Gould plays at a very slow tempo, it almost feels like there is a magnetic force traveling though the void created in between sparely played musical notes. This absence of a sound is an existence, rather than a non-existence. It is something you can You actually feel. Then you realize this, as Robert Mann, Ozawa’s fellow musician and highly acclaimed violinist, once pointed out. MURAKAMI: ….Robert Mann also talked a lot about silence. Silence is not just the absence of sound: there is a sound called silence. OZAWA: Ah, that’s the same as the Japanese idea of “ma.” The same concept comes up in gagaku, and in playing the biwa and the shakuhachi. It’s very much like that. This kind of ma is written into the score in some Western music, but there is also some in which it’s not written. Silence can become a profound sound called silence. It emerges when musicians become very concentrated and activate his/her sensory capacities to the fullest. Their keen senses are now one forceful tension that is capable of sustaining and elevating silence. When it happens, silence is no longer empty: it’s filled with enormous potential.